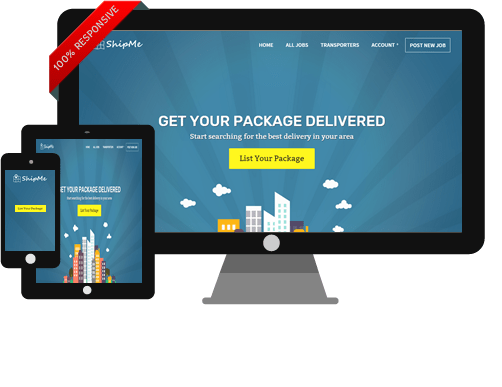 ShipMe is a wonderful responsive WordPress marketplace theme from SiteMile developer club. 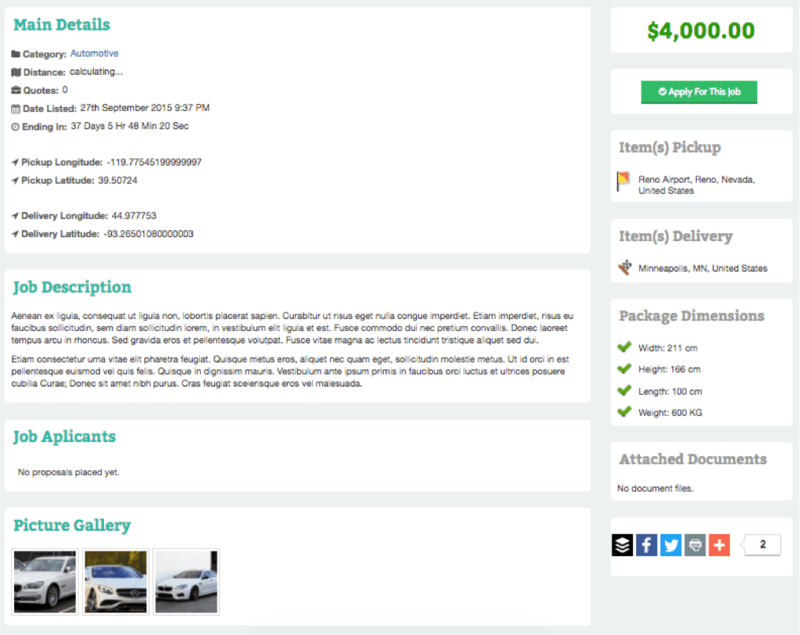 This theme has powerful features to create an online marketplace for delivery companies, Carrier services, and Shipping company websites. ShipMe WordPress Theme has inspired by popular transporter websites like uship.com and many other niche carriers and deliveries websites. 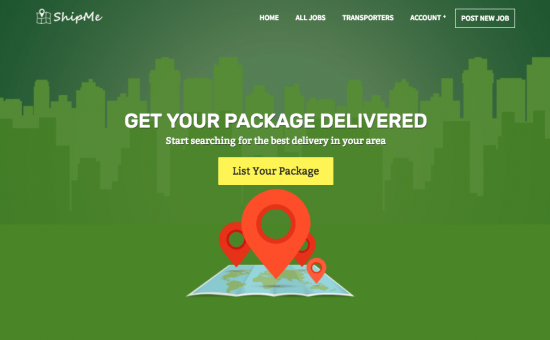 This theme will provide a complete solution for a transporters and deliveries marketplace. It is compatible with all latest smartphone devices like iPhone, iPod, Tablet, Desktop and Laptop devices. Create Shipping Carriers Website with ShipMe! ShipMe WordPress Theme is specially designed to use for shipping carriers websites with tons of amazing features to create an out of box design for your company. This theme is the best WordPress themes on the web to create shipping carriers company website. The concept of this design is, people would post their shipping needs (various items like vehicles, boats, household items, apartment packers & movers, heavy equipment, freight, and animals) and the transporters post proposals about the tasks and do the transportation for them. ShipMe WordPress Theme has built-in amazing features to build your own desired websites as per your requirements. It has included a powerful page builder plugin, which will help you to build unlimited web pages and countless web layouts to showcase your transporters & shipping jobs for you. You can set up your shipping company website within a minute by installing the demo content and later alter it as per your requirements. It gives you a complete control of a to z features for shipping management to deliver the items to the hired order place. Normally, shippers would be the customers who would post their shipping details with the location to pick up, budget, items to pick up, job description, picture gallery and package dimensions. Even the shippers can attach the required documents and listing dates as preplanned schedule. These details will give the transporters a clear idea and view to quote for your job. Do you know? You can earn money with ShipMe WordPress Theme by creating a shipping marketplace website. Yes, you can charge some percentage (%) or a flat fee per job. you will earn money for each Job/Item get used/delivers through your website by the shippers or carriers. It can be done through popular payment methods like PayPal, Credit card system or custom payment methods. It would be the great system to earn/monetization tool to increase the profit of your website. ShipMe WordPress Theme is also integrated with beautiful admin dashboard for both transporter and contractor user accounts. The users can maintain their personal accounts, register, login, payments and etc. Even the shippers can register and post their requirements from front-end or back-end admin panel. You will be provided with the required fields to post the transport jobs, such as add new job, job main details, package delivery, delivery date, package details (length, width, height, kg, and cm), job images, job files and publish button for submitting a review. 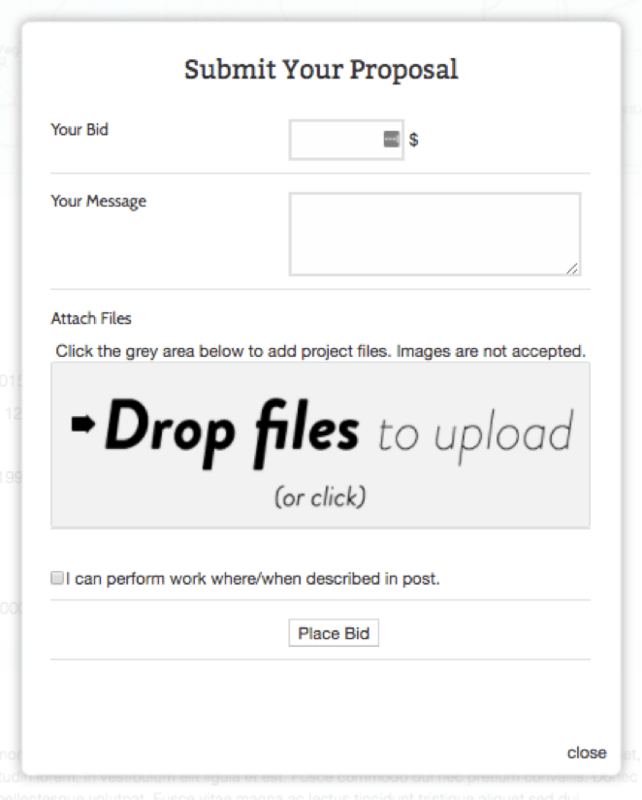 Once the job submitted, the admin can review the details and approve to show on the appropriate front-page of the website. Escrow credit system feature for Job Owner/Poster.